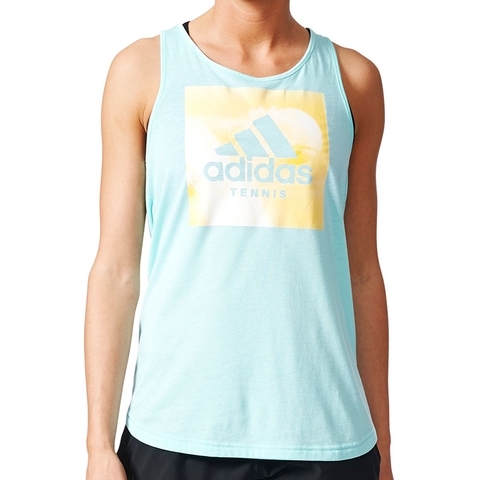 On or off the court, this womens tennis tank top proudly displays your love of the game. 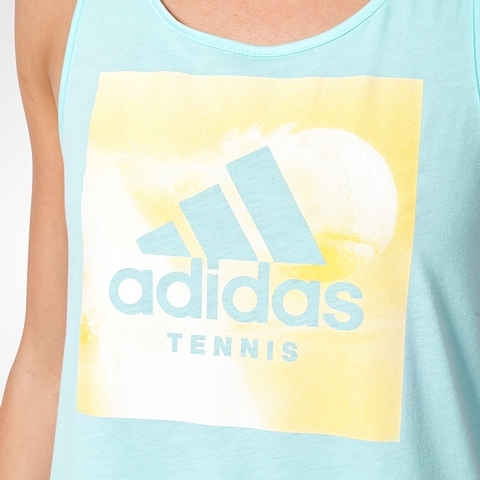 The front features a soft rubber-print graphic that pays tribute to your favorite sport. 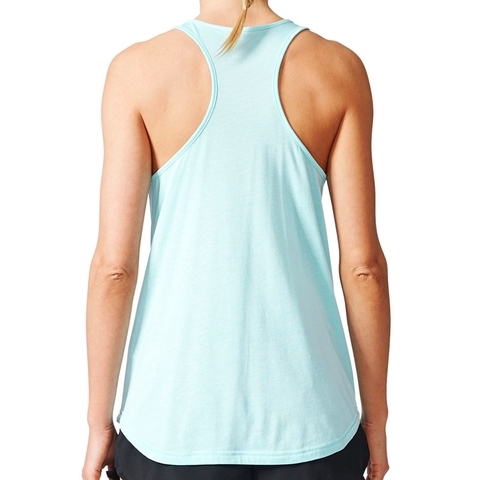 Cut for a relaxed fit, it offers a sculpted hem and a racer back. 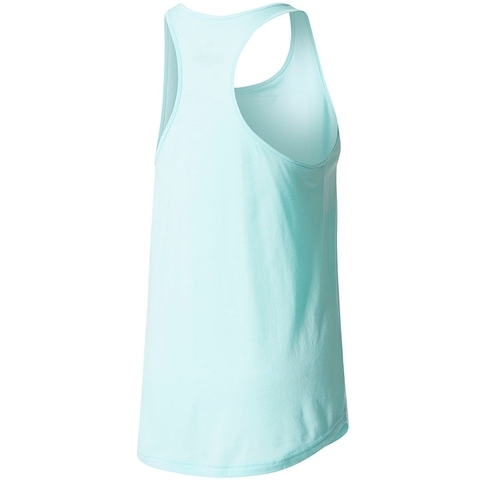 Smooth climalite® fabric wicks moisture as you put away your opponent with powerful ground strokes and skillful serves. 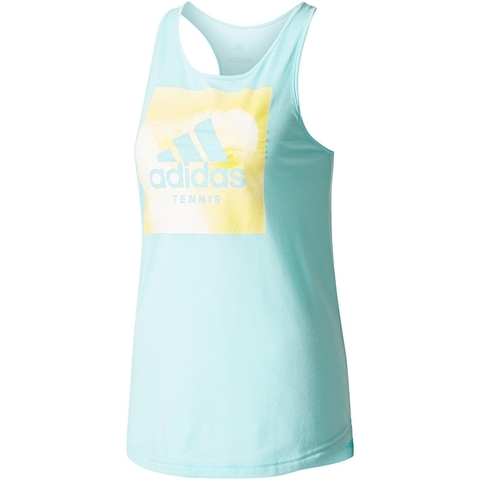 climalite® fabric sweeps sweat away from your skin, round neck, racer back, sculpted hem, adidas Tennis graphic screenprinted on front.